While Kindle Unlimited, Skoobe, Mofibo, and other ebook subscription services are focused on Europe and the West, Bookmate continues to invest in other markets. This Russia-based startup expanded into Singapore today in partnership with StarHub, a local telecom, to bring a library of over 500,000 ebooks to StarHub's customers and with the goal of engaging local publishers to offer their ebooks on the Bookmate platform. StarHub customers can read for free from a limited selection of titles, or they can pay to subscribe for either S$10 or S$16 a month. The standard subscription offers a larger selection consisting of hundreds of thousands of fiction and non-fiction titles, including 2014 Booker Prize nominee We Are All Completely Beside Ourselves by Karen Joy Fowler, and the premium tier offers access to Bookmate's entire catalog, including ebooks from major publishers like HarperCollins, Head of Zeus, Profile Books, Serpent’s Tail, and others. With around a million and a half active users in Russia, Ukraine, and Kazakhstan, Bookmate's subscriber base has plateaued over the past 6 months as their expansion plans have stalled. Earlier this year Bookmate raised a $3 million Series A funding round, primarily from the Russian web retailer Ulmart, with the goal of expanding into Scandinavia and Latin America by the end of this year (I think they missed that goal). The new partnership with StarHub is actually the first expansion news I have heard from Bookmate since they raised that round of funding in May, although they did announce a new deal with HarperCollins in October. 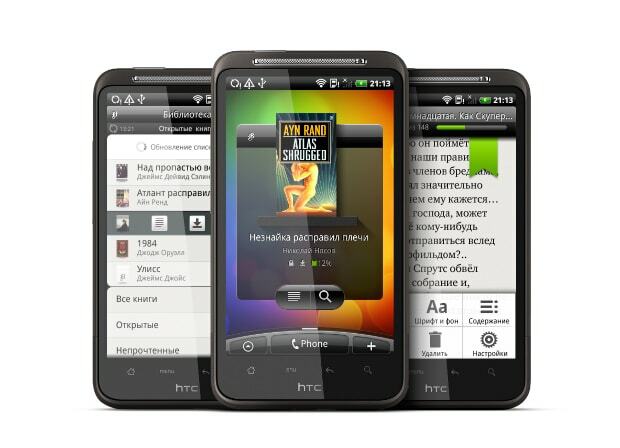 The Bookmate service is available via free apps for iOS and Android, and it is also available on feature phones through partners in select markets. Given that smartphone penetration is less than complete in many parts of the world, this unique focus gives Bookmate access to a customer base which most of its competitors cannot touch. The problem with feature phones is that signing up to Bookmate’s subscription service requires carrier billing, not yet as widely available as it will be. Smartphone penetration in Asia and Africa is growing very fast, and even in the poorest countries smartphones (often counterfeits of big brands, but they work) are proliferating like wildfire. Google Play too is expanding its carrier billing options (essential as it eyes the potentially lucrative Africa market and the way things are going it looks like the “Third World” ebook market will be largely supplied by Google and Bookmate. Back in not-at-all-Third-World Singapore Scribd is a subscription option, while Google and Kobo are both there offering regular sales to Singapore readers, along with the biggest regional player Ookbee, and the small but indie-friendly e-Sentral. Earlier this year Starhub had their own ebook micro-store, Booktique, which has either died a death or changed its URL. Both Amazon and Apple block downloads to Singapore. For any indies reading this, Google Play and Kobo can both be uploaded to direct (Kobo does not offer Singapore as an option in the dashboard but it does have a localized store). Indies are getting in to Bookmate through the pay-up-front aggregator Ebook Partnership. E-Sentral is on both Ebook Partnership’s and Bookbaby’s distribution list and can also be uploaded to direct. If anyone has any ideas on how to get into Ookbee, do let us know. The site http://www.Booktique.sg now points to Bookmate, so I think Booktique is now dead.